Oakley has always been known as an innovative company. Oakley never let circumstance stand in its way, from trailblazing the way for sport-specific lenses to creating its own materials when what was available just wouldn't do. Even Oakley's interchangeable lens system reflects its desire to always be adapting to new situations. It should be no surprise, then, that the newest additions to Oakley's optical eyewear collection are designed to be completely versatile without compromising the performance and durability for which Oakley is known. The Oakley Keel Eyeglasses feature rimless titanium frames. The Oakley optical collection on FramesDirect.com offers an exciting array of eyeglasses that, while diverse, adheres to Oakley's strict standards of excellence. Oakley eyeglasses are made with the same care and precision as its sunglasses, and this is evident in everything from their sleek designs to the premium quality materials used to make them. Oakley eyeglasses are made to be rugged and durable but are also stylish and modern, so they look as appropriate in the office as they do in the great outdoors. This is what Oakley means when it talks about versatility. You need your eyeglasses, but you shouldn't have to constantly worry about whether they are comfortable enough, durable enough, or if they look out of place with your business casual environment. Oakley eyeglasses will go with your from the boardroom to the baseball diamond without missing a beat, and many of Oakley's eyeglasses are made with materials that lend themselves perfectly to an active lifestyle. Oakley's Keel Blade frames feature integrated spring hinges. Keel and Keel Blade, two of Oakley's newest optical frames, are both made with titanium, which is not only light weight but is also extremely durable. They also feature integrated spring hinges that make them comfortable and easy to wear while providing a secure fit. These two frames also feature Oakley's unique Unobtainium material on their ear stems, which increases its grip when it interacts with perspiration. The Oakley Panel Eyeglasses frame fuses sport and style. The Oakley Panel is a true crossover optical frame, which seamlessly fuses sport and style. 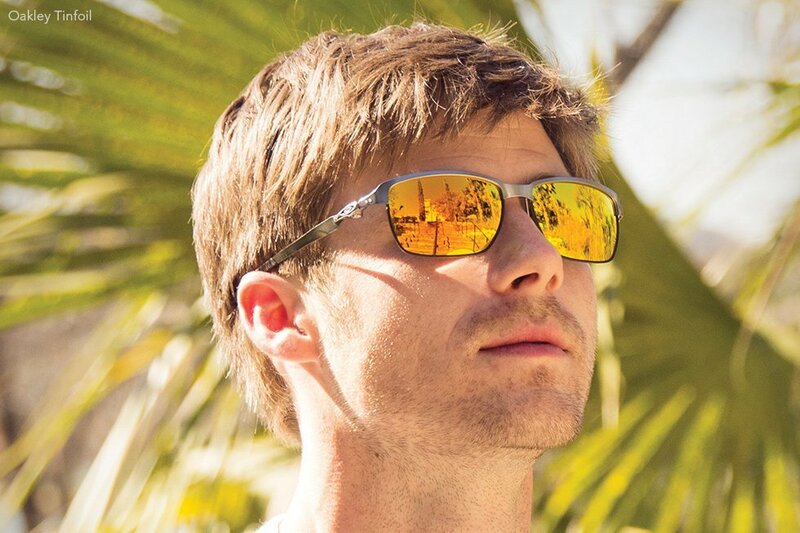 Engineered for a great fit with a zero-profile hinge, Panel has the feel of an Oakley sun frame and the go-anywhere appeal of a stylish optical design. It's lightweight and durable aluminum frame is outfitted with long Unobtanium ear socks, which gives it yet another performance edge and makes it as versatile as it is fashionable. The Oakley Martyr Eyeglasses feature titanium frames with subtle curves. Oakley's women's optical collection features stylish, go-anywhere designs with a feminine twist. Frames like Martyr and Persuasive are made to Oakley's exacting standards and feature vibrant colors that carry easily from the sport to work and back again. Martyr's titanium frame is designed with subtle curves and barely-there hinges while Persuasive's design is made with two-tone acetate in complementary colors. 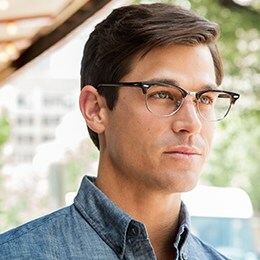 Both frames feature bent ear stems, for all-day comfort. They are attractive frames built to work as hard as the women who wear them. Oakley's ability to create new and better materials will always keep its frames on the cutting edge and its fans on the fast track, and Oakley's drive to be versatile is evident in all of its optical designs. Oakley's newest optical frames are now available at FramesDirect.com. See our entire Oakley Optical Frames Collection online or call one of our opticians at 1-800-248-9427.